Your model railroad needs industries as destinations for your trains, and nothing is more fun than creating a series of big buildings. Learn about making heavy industry for your railroad from these videos. 169 minutes. Dean Freytag and C.J. 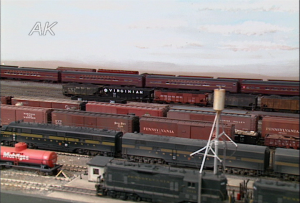 Riley, two master model railroaders, bring you their home layouts. Dean’s South Ridge Lines is home to the steel industry and his nationally-honored, scratchbuilt structures. C.J.’s Kanawha & Western Allegheny hauls coal from the mountains of West Virginia to the steel making furnaces of the Ohio Valley. 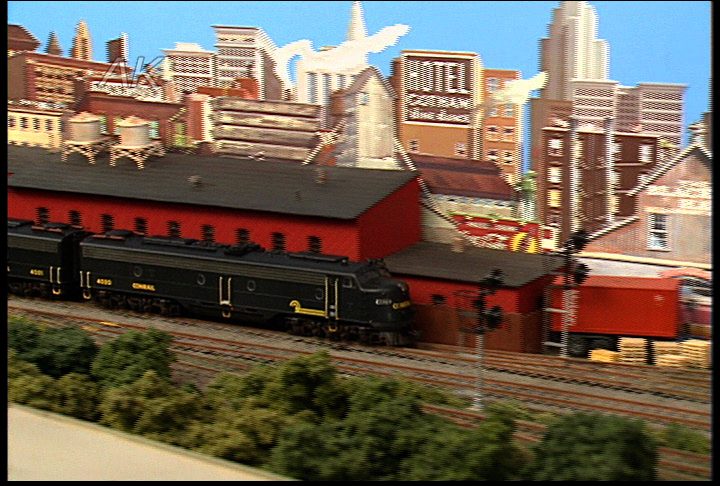 Dean’s layout features specialized rolling stock, blast furnaces, and an operating humpyard. 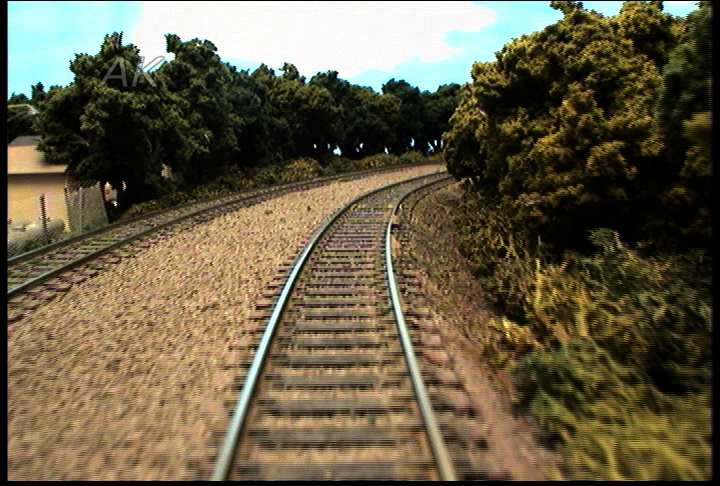 C.J.’s railroad is based on the Western Maryland and travels rural Appalachia. Both Dean and C.J. will show you some of their special techniques. Dean demonstrates the weathering of a mill gondola and how he finds new uses for household items. C.J. builds a forest in a small vertical space, and colors a structure without paint. You’re sure to enjoy all the railroad action and inspiration in this tribute to two outstanding modelers. “Conrail New Jersey Division” of Matt Snell and Debie Baker is big time modern railroading focused on Newark, the Northeast Corridor, chemical plants and commuter lines. 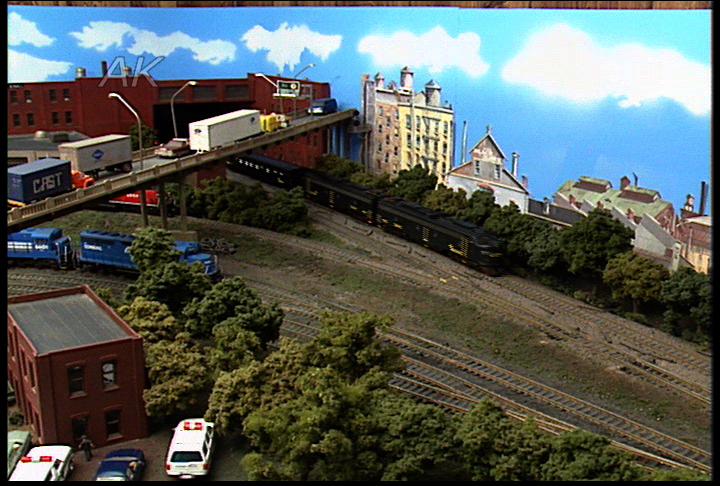 The 40 x 24 foot HO layout also has trains from Amtrak, New Jersey Transit and the Susquehanna. The railroad has 4 small yards in addition to the large Oak Island yard. In the active staging yard consists are changed out during operating sessions. Matt will show you how to use make-up to weather equipment, add sound to your layout, make signs, create a timetable and detail diesels. Jerry Macri’s “Pennsylvania Railroad” is huge, 4300 square feet of big-time 4 track operation! 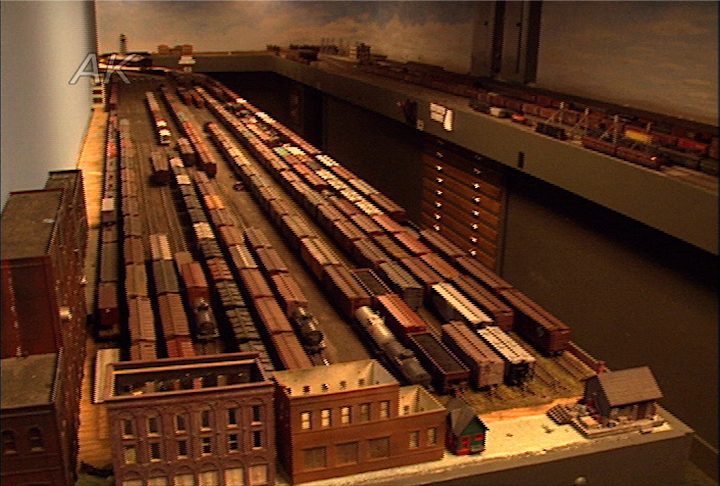 This HO layout runs from Chicago to New York and can handle more than 1200 pieces of rolling stock. 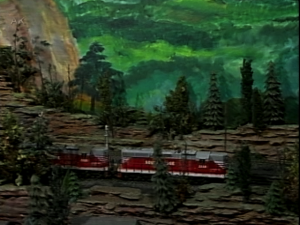 He models a massive steel mill and a 30 foot deep Horseshoe Curve. Creating realistic scenes is Jerry’s favorite part of the hobby because this helps him remember his youth. He really enjoys sharing the layout with others. Jerry will show you how to build foam scenery, use herbs and spices for ground cover, keep your track clean and use a scenery caddy.